BBG this month acquired two Integra Realty Resources offices in the Pacific Northwest, including locations in Portland, Oregon and Vancouver, Washington, expanding the firm’s footprint in the Western region. The timing couldn’t be better as Portland CRE is experiencing its most rapid development period yet. 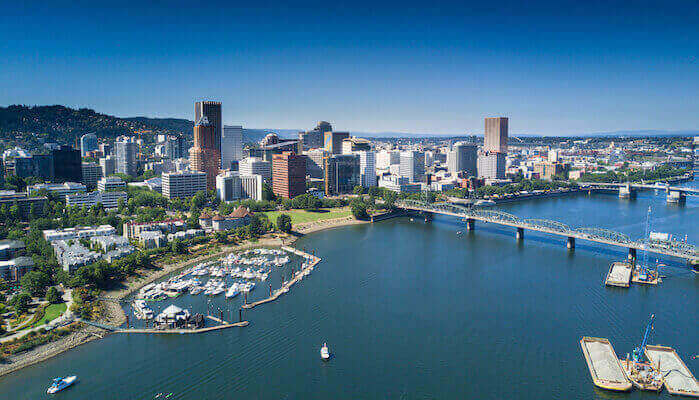 Several of Portland’s current and proposed development projects are transformative, altering the skyline and potentially cementing bragging rights of a first-tier metropolis. Owen Bartels, MAI, the newly appointed Senior Managing Director of the Pacific Northwest Region, has his eye on these three projects in particular. When Portland’s urban renewal agency bought the 19-acre U.S. Post Office campus in the Pearl District, the purchase marked the start of one of the city’s costliest redevelopment projects ever, though the site’s exact fate, at the time, was unknown. Envisioning a mixed-use development with retail space, offices, and multifamily units (including much-needed affordable housing), the agency last month chose Denver-based Continuum Partners to redevelop the site encompassing the equivalent of 12 downtown blocks. The proposed plans to re-weave the site into the urban fabric, fusing the Pearl District to Old Town Chinatown, has been described as game-changing. Speaking of games, the group trying to bring Major League Baseball to Portland offered Portland Public Schools $80 million for the main administration building in the Lloyd District, which is one of two sites they’re eyeing for a ballpark. (The other site is a shut-down foundry.) Although the offer includes such sweeteners as a property swap, the property had been assessed at $100 million. PPS, subsequently, began casting about for a better offer. Developed in partnership by Urban Renaissance Group and Security Properties, the Press Blocks, as the site is aptly named, will include an eight-story office building, high-rise apartments, and ground-floor retail, for a total of three buildings spread over one-and-a-half blocks. While this development may not make the front page, it replaces a section of close-in Portland once written off as “unfriendly” because of the windowless, cement-encased, expressionless press building.